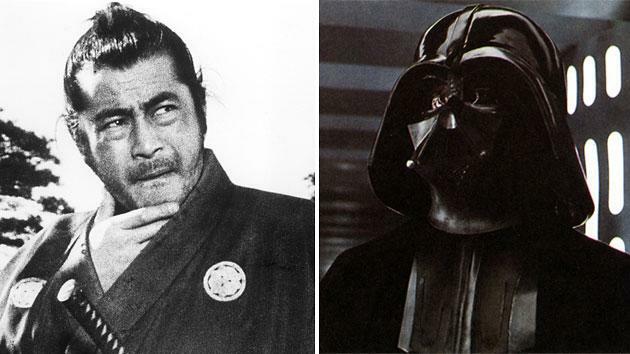 ‘Seven Samurai’ star Toshiro Mifune: The would-be face of Darth Vader? We may have had a very different Dark Lord of the Sith than the masked menace we've come to know and loathe. It's a relatively well-known bit of sci-fi trivia that George Lucas approached Japanese star Toshiro Mifune to play the role of Obi-Wan Kenobi in the first (or, rather, the fourth ... you know what we mean) "Star Wars" movie. But according to Mifune's daughter, Mika, Lucas' courtship of the "Seven Samurai" star didn't stop there, as he also apparently offered him the role of Darth Vader. Mika Mifune revealed this interesting behind-the-scenes tidbit last weekend on the world history game show, "Sekai Fushigi Hakken!" Vader's now-iconic helmet was apparently designed with her father in mind, and if he had accepted the role, his face would've been at least somewhat visible. Even though Mika's claims should be taken with some skepticism as her account certainly isn't first-hand (she was born in 1982), they're certainly believable when one considers Lucas' fascination with Japanese cinema -- and the Japanese star. "Star Wars" was heavily influenced by the works of Akira Kurosawa, particularly his "hero's journey" tales such as "Seven Samurai" and "The Hidden Fortress," and it's no secret that Lucas really, really wanted Mifune to be in his movie. Mifune ultimately turned down the role of Obi-Wan because he thought "Star Wars" was just going to be a kids' movie, and obviously the alleged counter-offer of Vader didn't convince him otherwise. It was all probably for the best (where would we be without that nightmares-inducing Vader mask? ), but the what-if? scenario certainly conjures amusing visions of Darth Vader as an angry (and probably bearded) Japanese man. One thing's for sure -- if Mifune had accepted either role, it would've made for one hell of a lightsaber duel. Memasefni: If Ann would ever under ANY circumstances consider voting for Bernie, then she is NOT a conservative.